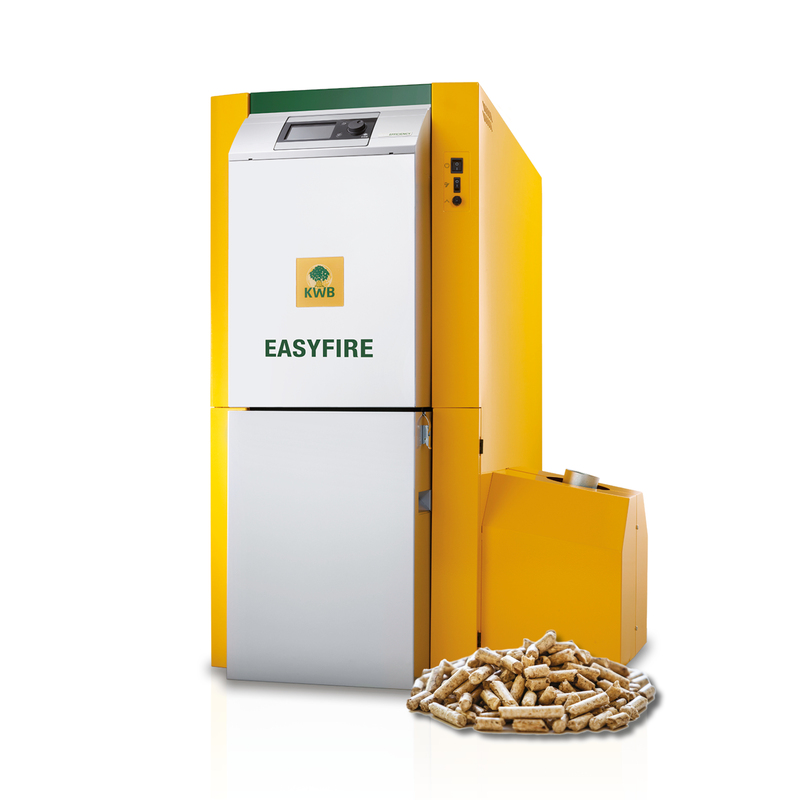 The Easyfire 1 is our entry-level wood pellet boiler. 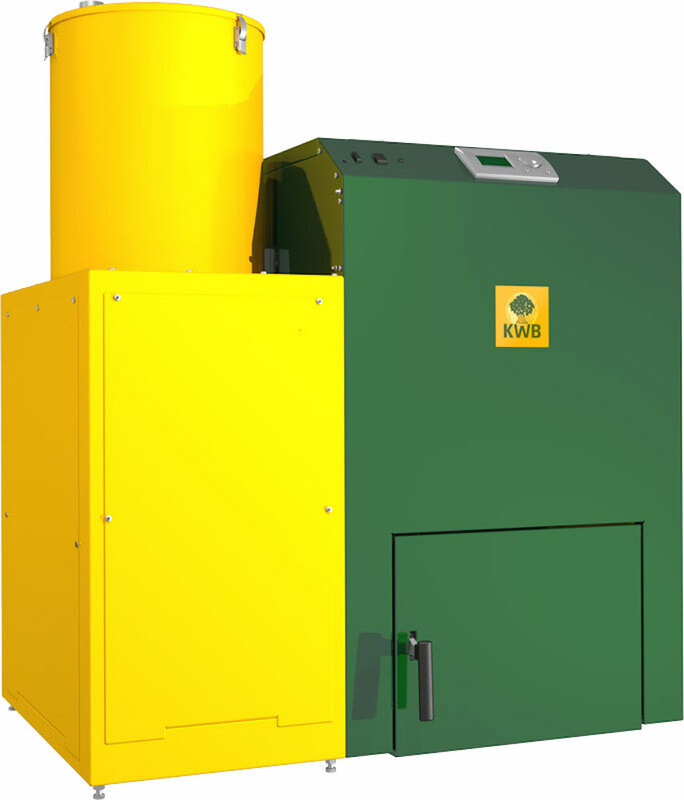 It has all the reliability and efficiency you would expect from a KWB boiler, without some of the additional features available on other models. It is suitable for most domestic settings. 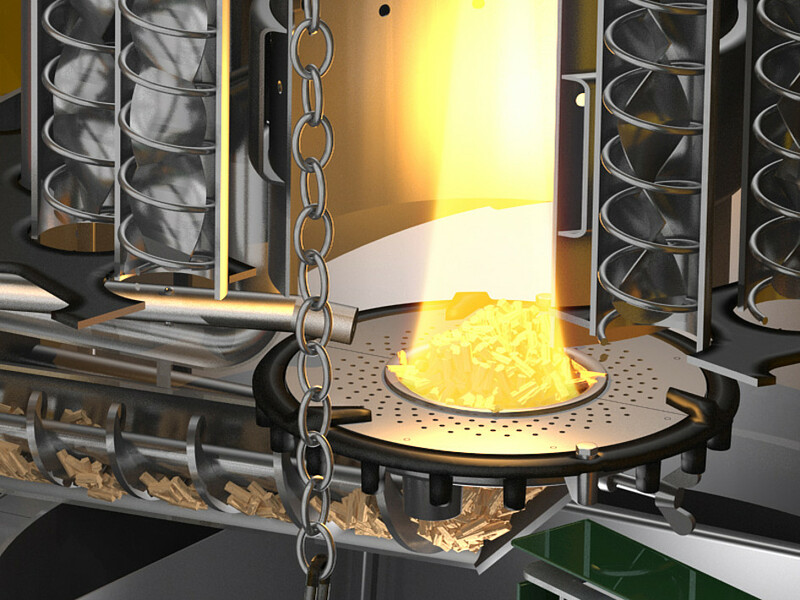 At is core is the unique KWB burner system, with a cast underfeed burner and a large stainless steel burner plate. This ensures a stable fuel bed and smooth, clean combustion with low emissions. 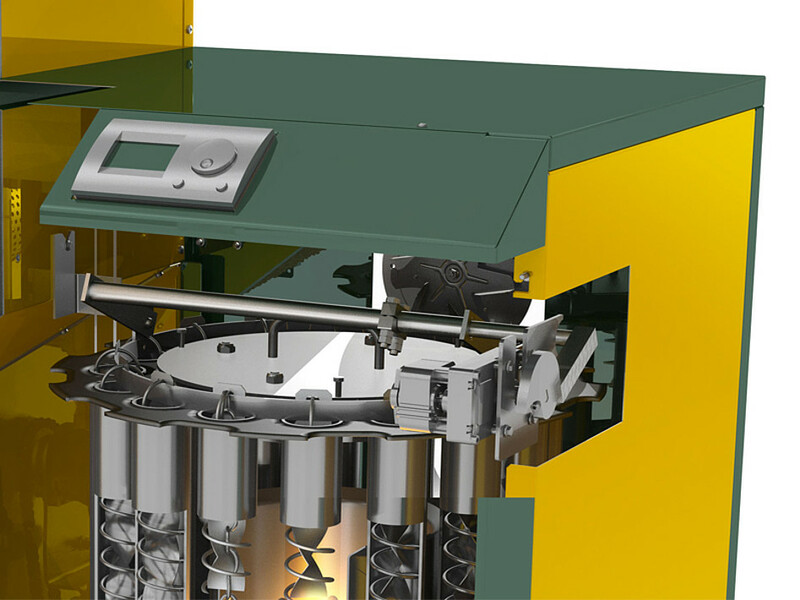 The burner system has proven reliability – over 40,000 customers have experienced its excellent performance. It has a 200 litre pellet storage container at a convenient height, which is quick and easy to refuel. A refill alert on the system’s display in the home will indicate when it is time to add more pellets. Because it is at a convenient height, it is very easy to re-fill. It is available in sizes of 10, 15 and 20 kW, enough for heating and hot water in most homes. It has a footprint of 0.75 x 1.14m, enabling it to fit easily into most boiler rooms or utility spaces. 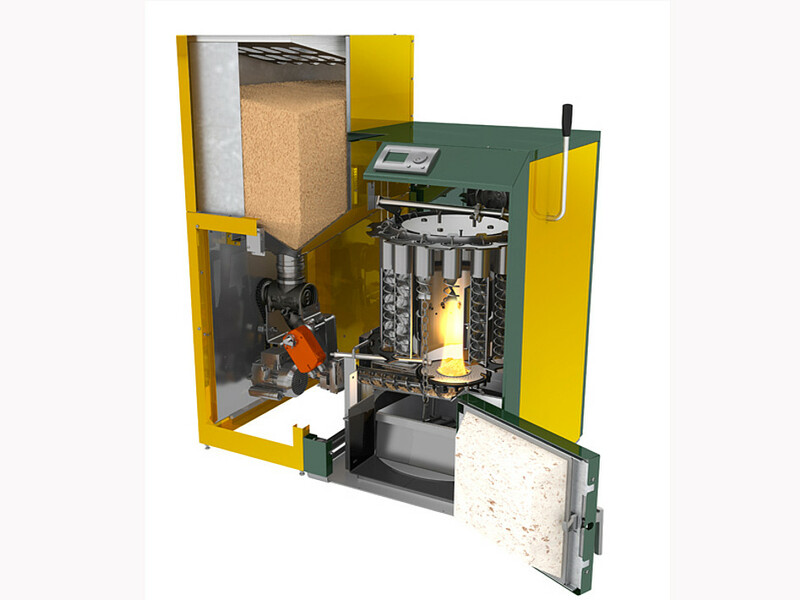 Thanks to the efficient combustion, emptying the convenient movable ash container is easy and comfortable – and you may be surprised at how little ash is produced! 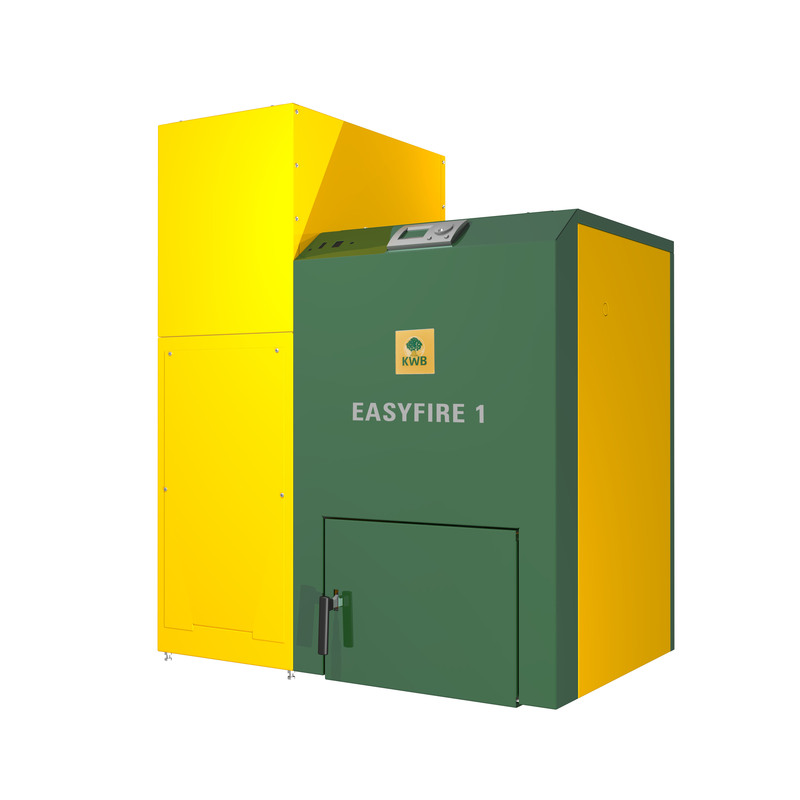 The Easyfire 1 comes with the easy-to-use 'Comfort 3' control panel, making it simple to operate. It is a 2-button control unit, with a simple dial and an intuitive graphic display. 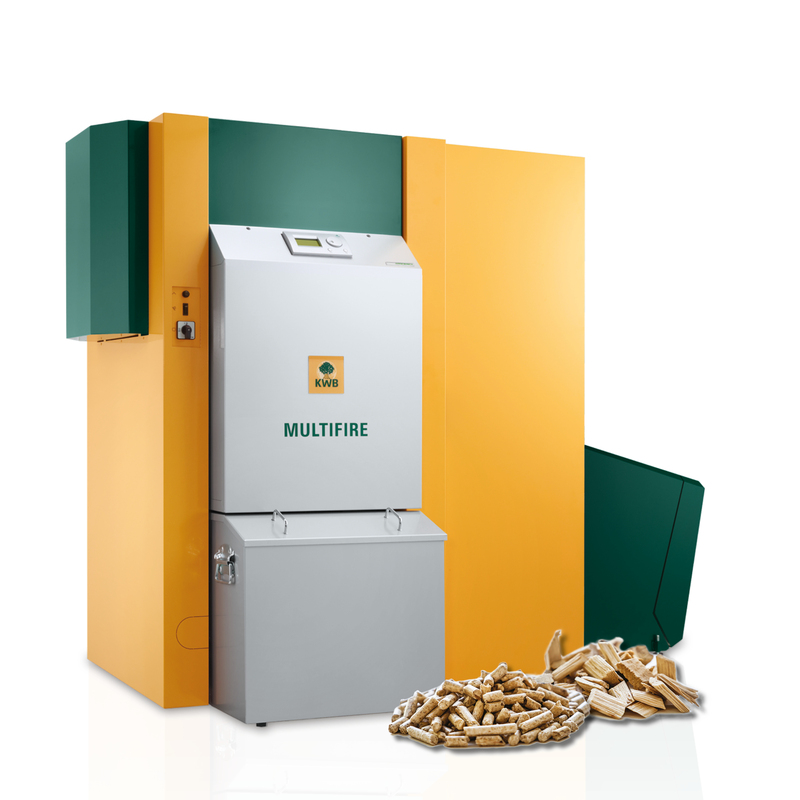 The KWB Easyfire wood pellet heating systems, with cleanEfficiency technology, are among Europe’s best-selling wood pellet heating systems. 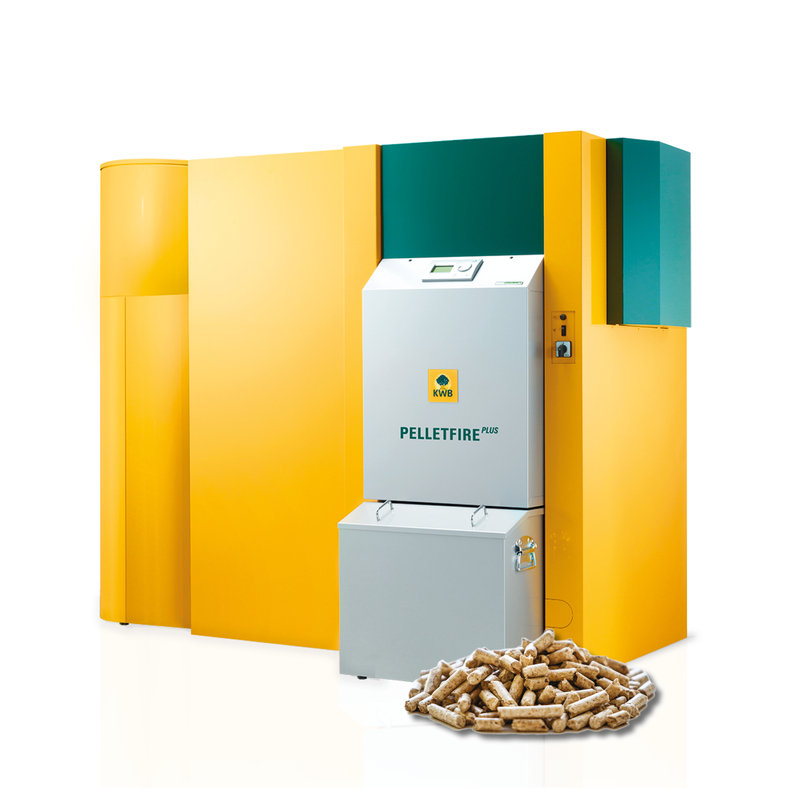 They are among the cleanest wood pellet heating systems in the world. Its power consumption is very low – it has an energy-efficient drive motor, which uses very little power. Easier cleaning of the heat exchanger, with the addition of an automatic cleaning system (the heat exchanger on the basic model is cleaned through a semi-automatic system, operated by a pulling mechanism).